JR KYOTO ISETAN is a department store in Kyoto station. 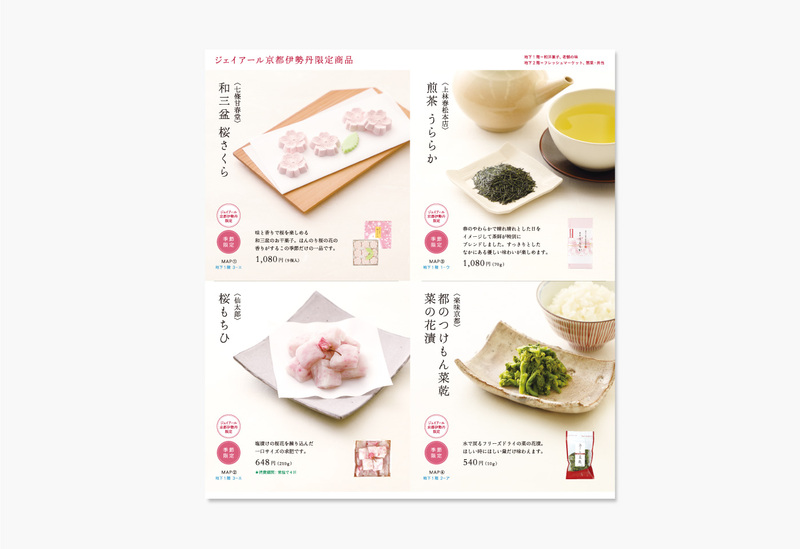 We made a booklet "KYOMI" which JR KYOTO ISETAN publishes every season. 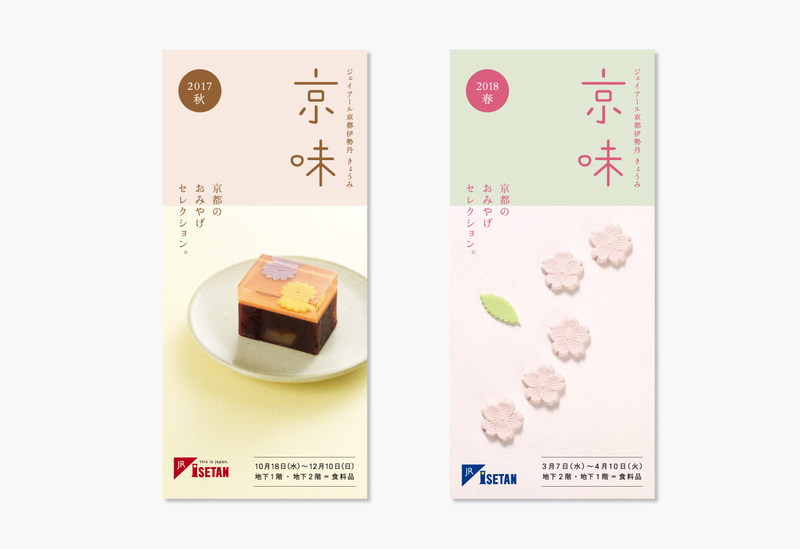 In "KYOMI" they introduce seasonal food souvenirs to tourists and local customers. 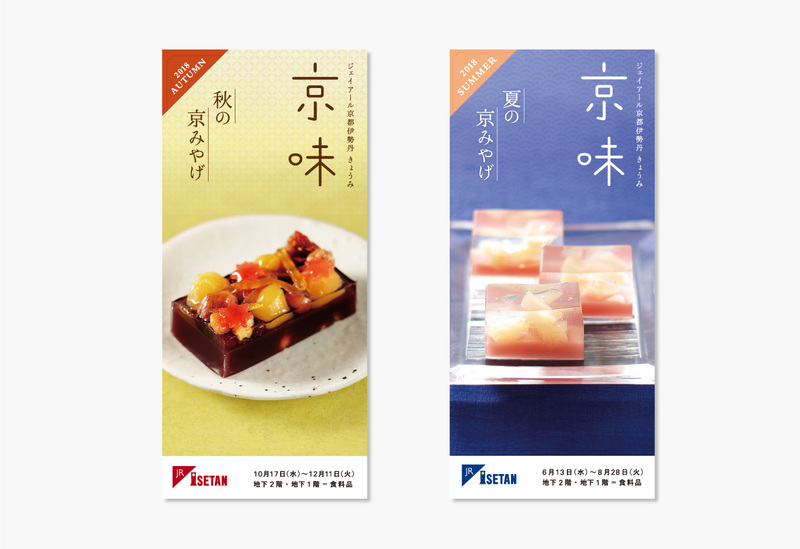 We created the title font of the booklet, selected dishes which make the goods look better, took pictures of them, and expressed seasonal tones on every page.